These few lines inscribed by the seventeenth Gyalwang Karmapa during his visit to the Men-Tsee-Khang College, explain perfectly the essence and purpose of Tibetan Astrology. However, the corpus of texts devoted to interpreting the relationship between the movement of the constellations and human events, a relationship so intimate and interdependent that it allows you to predict events and life situations of a single person or even of a whole nation, is immense. It is enough to think that astrology was already a systematic science in the second century BC, during the reign of Nyatri Tsenpo at a time when Buddhism was yet to come to the land of the snows. Then, when indigenous astrology merged on the one hand with that derived from the Buddhist Kālacakra Tantra (which explains the formation of the universe and the human body), and on the other with the Astrology of the Elements imported from China, this science became even more multifaceted and interconnected with other disciplines, most notably medicine, reaching an enormous degree of complexity. The great merit of this book, compiled by astrologers Tenzin Sherab and Tenzin Tsewang Jamling on behalf of the Men-Tsee-Khang, Tibetan Medical & Astro. 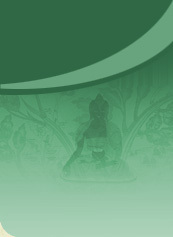 Institute, is to have extracted the pith from the vast literature on the subject and to have found a synthesis between the need to outline all the basic aspects of Tibetan Astrology and the intention to make this science understandable and applicable in practice for the secular West. The book comes with very clear illustrations and tables and can be easily read. After a brief but comprehensive historical introduction, it explains the relationship of astrology with other fields of Tibetan knowledge, especially medicine. After this it goes directly into practice. In concise chapters, the uninitiated can learn about the three systems of the day, the astrology of the birth horoscope, how to deal with the year of obstacles that occurs every twelve years after birth, how to determine the compatibility of couples, and how to predict and avoid diseases, or at least mitigate their harmful effects. The last part of the book is devoted to the so-called Minor Astrology, which teaches how to calculate favourable dates to begin important projects, to travel, to marry, to move house, in short all those events that have an important role in our daily lives. There is also a chapter that illustrates the various amulets used to enhance the vital energy, fortune, and in general to avert any kind of negative energy. A Concise Introduction to Tibetan Astrology is an essential book for expert scholars as well as for the beginner who wants to learn about this discipline.